Racing Around Tortola is a rite of passage and this race has been a staple in the BVI racing calendar for nearly 50 years. The 2018 edition, the Nanny Cay Round Tortola Race was scheduled to take place on Saturday 17 November but was been postponed to Sunday 13 January 2019. There were 11 entries for the 2018 edition (raced on Sunday 13 January 2019). Eddie Brockbank and the Lucky 7 team of Todd Patterson and Linda Philips were the overall winners. Mike Hirst set a new record of 2 hours 14 minutes and 54 seconds on his foiling kite. 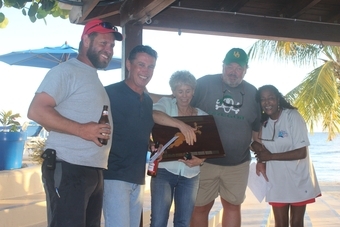 Sixteen boats took part in the 47th annual Peg Legs Round Tortola Race on Saturday 10 December 2016 with trimaran Tripe Jack taking line honours but Boomorang skippered by Kevin Wrigley taking the overall prize on corrected time for the second consecutive year. 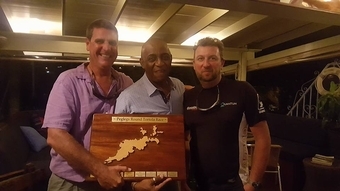 The Nanny Cay Challenge was launched in 2010, it can be attempted any-time, any-day but must start and finish off Nanny Cay, circumnavigate in an anti-clockwise direction and leave Beef Island, Scrub Island, Great Camanoe and Guana Island to port. Challengers must pay an entry fee of $250 which is donated to a BVI charity of the challenger's choice. To date the NCC has raised $2000 for local charities.